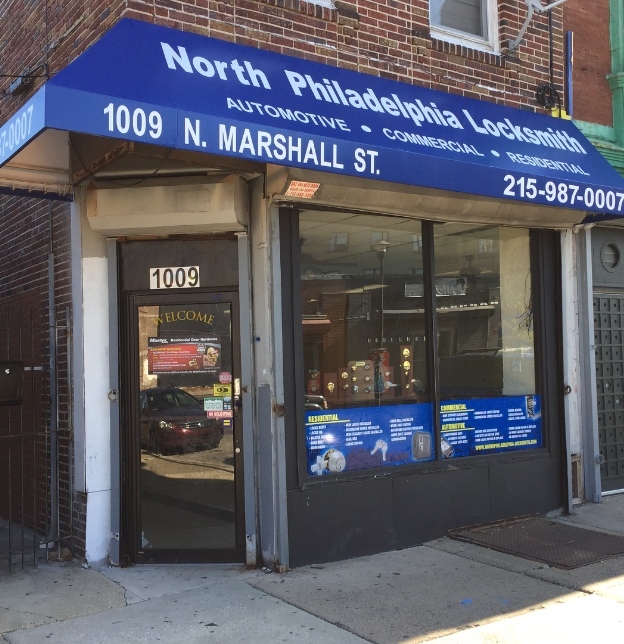 North Philadelphia Locksmith is located in the heart of northern liberties and is proud to offer you the best locksmith services in the Greater Philadelphia area. With our years of experience, you can trust us to be the fastest and most reliable locksmith provider in the area. Our company utilizes the most cutting-edge technology to handle any job and we even offer emergency services with 24/7 access. Our trained and highly skilled professionals are more than capable of handling your locksmith and security problems, no matter how simple or complicated. All of our technicians come prepared with the right tools every time, so your needs can be met correctly the first time. Our mission is simple, to serve our customers with the greatest satisfaction! Store location - 1009 n Marshall st Philadelphila PA 19123.